Personalized owner coaching creating human / canine harmony in the home. Good News! Dogs want boundaries and can easily identify and respect them with Hera's owner coaching and dog training! Dog thinking patterns are easily explained followed by Hera's immediate easy-to-implement solutions in-home in the Eastside Seattle area. Hera offers over 15 years of dog training experience balanced with a profound love and respect for animals. Starting with the observation of the human and canine interactions in the household, an assessment is made and behavior is explained. The owner coaching is done on-the-spot and immediately useful for shaping behaviors. Clients receive an analysis of current behaviors, top suggestions for shaping the behaviors, and a follow-up date for next steps. Beloved dog behavior can go from curbing bad habit to teaching tricks and enjoying one another. Do you ever feel terrible for yelling at your dog? More Good News! Dogs respond better with calm and positive reinforcement. Hera can assess situations of aggression, red-zone behavior, bolting, jumping, chewing, barking, or any undesirable behavior, and show how to eliminate the behavior through calm leadership and interactions that dogs can understand. Results are immediate, easy and refreshing. With infinite tactics for shaping dog behavior through positive reinforcement, Hera has the insight and experience to offer immediate and effective dog interactions that create a closer bond between the family and the cherished dog. Sprechen zu Dog? Just like in any relationship, communication increases harmony. People who speak "Dog" benefit from having kind and loving relationships with their pets. Dogs who speak "People" have tools to express their feelings and needs to their humans. Hera can bridge the gap between loving owners and their loyal dogs. Train your puppy correctly from the beginning? Modify your dog's excessive barking? Keep a dog from running away? Modify your dog's aggression toward other dogs, pets or children? Hera can help. Private dog training is available in Issaquah, WA, Bellevue, WA, Mercer Island, WA, Redmond, WA, Snoqualmie, WA and North Bend, WA. Online / on the phone counseling is also available. A lifelong dedicated dog trainer that truly cares about creating among our human and canine homes. 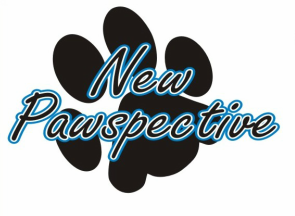 Call (206) 227-2695 or email Hera at hera@newpawspective.com. Does your dog do any of the following? 1. Greet your guests before you do? 2. Chew up anything it can find? 3. Constantly search / beg for food? 4. Pull on the leash? 5. Pay too much attention to other dogs? 6. Selectively listen to y﻿our commands? 7. Not come when called? 8. Dig where they shouldn't? 9. Steal your things and run away? 10. Monopolize best seats in the house? 12. Run out any open door? Undesirable Behaviors can be changed and redirected. I can help you shape the relationship you have always wanted with your dog. Private Lessons at your home. Tricks and Games to play with your dog. Ask a question. It's free!